Coiste Chontae Chorcaí CLG (Cork County GAA Committee) is now seeking a suitably qualified person with a passion for Gaelic Football to fill the role of Project Co-ordinator for the recently-published #2024 – A Five-Year Plan for Cork Football. The successful candidate will report to the County Executive through the County Runaí/CEO and will be responsible for implementing the recommendations of the plan and delivering on its objectives. Undertaking any other duties as may be reasonably assigned by the County Runaí/CEO. Experience of project management and strategic planning. A willingness to work evenings and weekends. Candidates interested in the above role can apply by submitting an up to date cover letter and Curriculum Vitae to administrator.cork@gaa.ie by 3pm on 22/03/2019. Employment – Rebel Óg Coaching is the coaching arm of Coiste na nÓg Chorcaí. Cumann luathchleas Gael Chorcaí is inviting expressions of interest for a new pilot scheme that will provide full time coaching resources to a cohort of clubs on a 2 year basis. Please note this scheme will commence subject to funding being available from Munster Council and National Coaching & Games. For further details on the attached application document which also includes the Expression of Interest Form click the link below. Rebel Óg Coaching is teaming up with local Third Level Institutions to offer graduate positions as Games Promotion Officers within a cohort of clubs in Cork. Under the terms of the Scheme there will be 4 full time positions made available in 2019. The suitably qualified graduates will work to an agreed programme of activity and time table, for a minimum of 2 years within the assigned clubs. WHAT WILL BE THE GAMES PROMOTION OFFICERS ROLE? The GPO will provide coaching supports at Primary School, Post Primary School and directly in the clubs via hands on coaching but also in the area of coach education and the regular up skilling of club coaches. The percentage of time spent in these areas will be agreed in advance with all stakeholders. The key aims will be to recruit and retain players while ensuring the best possible standard of coaching in the clubs/schools. WHO WILL MONITOR THE GAMES PROMOTION OFFICER? There will be a sub committee setup for each pilot where a representative from each of the clubs involved along with the local GDA, Games Manager or County Coaching Officer will meet on a regular basis to ensure the GPO’s time is being utilized effectively and to the benefit of all clubs. HOW WILL THIS INITIATIVE BE FUNDED? The clubs are asked to provide half of the budget for the scheme between them. It is proposed to allow a budget of €30,000 per annum towards each pilot. Therefore clubs will be asked to contribute €15,000 between them per annum. CAN CLUBS APPLY AS AN INDEPENDENT UNIT? No. This scheme is not open to single clubs. Munster Council are not in a position to support individual clubs as they would not be able to sustain the number of potential applications and back it up with the appropriate funding. On the other end Cork are limiting this to a maximum of 3 clubs to allow a reasonable amount of time to be spent in each club. Clubs need to discuss this initiative with club members and decide if they would be interested. They would then need to discuss it with another club or clubs and see if they would be willing to work together to put a financial package in place. Clubs would need to submit the below application on or before the 7th September 2018. You must work off the assumption of a 39 hour week and funding inputs will determine the number of hours allocated to your club over another (pro rata basis). HOW WILL CLUBS BE SELECTED? The Executive of Cork County Board will determine the proposals that will potentially provide greatest return on investment for each pilot. Your current status in respect of Benchmarking 2020 Vision may also be considered. If clarifications are required, the Executive may seek to follow up with clubs to discuss their applications further. These applications will be put forward to Munster Council with a view to securing funding. This form has to be completed on or before the 7th September 2018. Completion of the Expression of Interest form does not ensure inclusion in the Scheme. Once submitted, the form will be reviewed and contact will be made with club secretaries before the 30th September 2018 with an update on application processing. Should clubs require further information in advance of submitting the form, then email kevin.ocallaghan.gm.cork@gaa.ie with your queries. 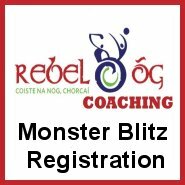 Employment – Rebel Og Coaching promotes Gaelic Games in clubs, schools and academies throughout Cork. A full-time staff of six GDAs working under the County Games Manager cater for the needs of child, youth and adult players in both football and hurling. Optimise playing standards to ensure that all players are provided with opportunities to fulfill their potential through regular, meaningful games and top class coaching, both of which are outlined here. At various times during the season, Rebel Óg Coaching may wish to recruit part time coaches for a wide range of coaching projects working alongside GDA’s. These programmes would range from Primary Schools Coaching, Post Primary Schools Coaching, Regional Youth Squads coaching-coordination. If you have experience in coaching children or youths and you would be available to help in the roll out of our projects upon request, then please complete the form attached. Submission of the attached form merely constitutes an expression of interest, if an opportunity arises then candidates will be shortlisted based on application form completion and the requirements listed above. Please follow this link and fill in form as required Part time Coach Expression OF Interest Form . Description: The position will be in the above area. This is a developmental opportunity, no experience is necessary. Accredited training will be provided to support your career. The ideal person would have to have good communication skills, a knowledge of working with children, good planning skills; an enthusiastic approach to work and have a general knowledge of the GAA games. 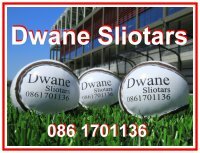 Own transport needed with full drivers licence. Applicants must supply suitable character references and be prepared to complete a Garda vetting application form.